We are a growing, accomplished and cohesive team of professionals supported by an experienced Board of Directors. Joe has spent 10 years working in the smart grid sector and is passionate about working in start-ups to bring new, smart grid technologies to market. He spent the first half of his career working in the fast growing Internet sector as Director of Hosting Operations at Pipex Plc. There he led a seventy-strong team at five UK locations, and was responsible for IT hardware, software and power infrastructure supporting 4,000 businesses and 250,000 consumers. In 2007, Joe moved to Open Energi/RLtec when it was a start-up. He helped bring their smart grid dynamic demand product from concept to commercial reality, creating a new market in which Open Energi arrived first. Joe managed Open Energi’s relationship with National Grid over a period of seven years and agreed the first ever Dynamic Demand contract for demand side Firm Frequency Response, securing contracts with National Grid and Sainsbury’s. Joe joined Powervault in 2014 as Managing Director. He obtained a BA (Hons) from the University of Oxford in Experimental Psychology and an MBA from INSEAD. 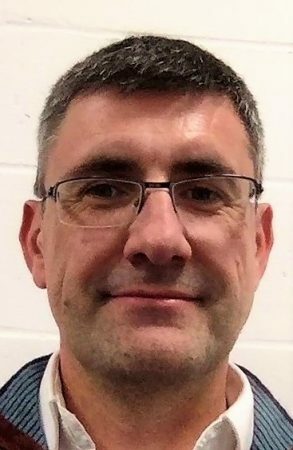 Martin has over 20 years’ experience in the global corporate environment of precision engineering at companies such as ITT (now Xylem), and Crane, where he was responsible for global sales, operations and new product development. More recently, Martin spent the last six years of his career providing operational support and consultancy services to technology start-ups in motorsport, media, and harsh-environment electronics. These management roles have covered everything from R&D, through development and manufacture, to global system deployments. Martin has a degree in Aeronautical Engineering, an MBA, and is qualified in VBSS and Lean Engineering. 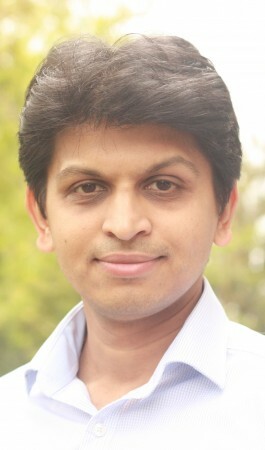 Viren has more than 10 years’ experience in Finance. He has worked across several industries, in businesses ranging from <£1m revenues to £multi-million revenue PLCs, and within sectors ranging from Production to Wholesale to Retail to Technology. Whilst working with Isabella Oliver (High-end Fashion brand), Chemilines Group (Pharmaceutical Distribution), Close Ventures (Investment Management) and Techspace Property Group (Co-working spaces), Viren helped a variety of organisations improve and streamline processes and procedures to maximise efficiency. Viren is a commercially astute and dedicated finance professional with well-rounded business experience, which enables him to drive growth through improvements in systems, management information, change management and cash flow management. Viren is ACA-qualified and is focused on using the right systems and processes to enable Powervault, which he joined in 2017, to grow at speed over the next few years. In his spare time, Viren likes to play his favourite sports: cricket, volleyball and table tennis. Charlie started his career at Solution Sciences, a start-up soft drinks business, where he spent two years growing the distribution, sales and marketing of Alibi Drinks amongst a variety of retailers in the U.K. Charlie then moved to Associated British Foods where he built and managed business plans and relationships with large, multinational grocers as part of a two year commercial graduate scheme. He joined Powervault in 2015 to look after sales to distributors and installers and is now working with large customers, including energy suppliers, to bring home electricity storage to the mass market. In his spare time, Charlie will be found either on his miniature-wheeled bicycle or on a pair of skis in the Alps. Charlie achieved a BA (Hons) from Durham University in Economics, Business & Geography in 2011. 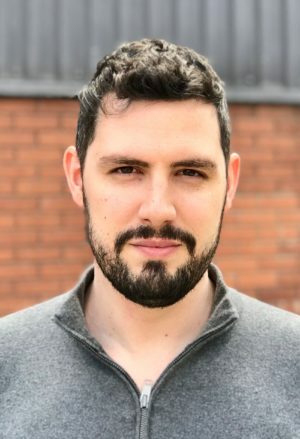 Nick joined Powervault in 2017, having previously worked as an analyst at the Solar Trade Association focusing on rooftop solar, behind the meter storage, networks and smart power. He has an MSc in Environmental Technology from Imperial College London, where he specialised in energy policy and technology and wrote a thesis in collaboration with Ofgem on local energy systems and non-traditional business models. Prior to that, Nick managed a small fund at a charitable foundation, making grants in the environment and international development. In his spare time he enjoys going to gigs and cycling, and is trying to make a perfect pizza base. 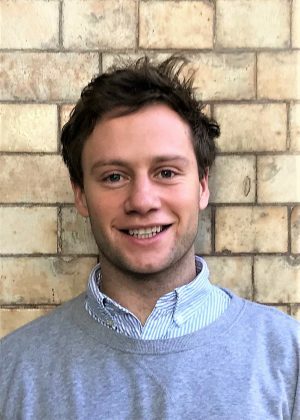 After graduating from the University of Liverpool with a BA (Hons) in History, Jack immediately started working in the renewable energy sector. He began as a Project Developer, working alongside Belectric and SunEdison on utility scale solar projects in the UK. In 2015, Jack went on to co-found his own development company, Clean Energy Generation, to focus on solar projects in emerging markets. Jack was responsible for sourcing and developing both on and off-grid sites in Nigeria and West Africa for international installers. Jack joined Powervault’s business development team in 2017 and is passionate about energy storage and its role in expanding the universal uptake of clean energy. In his spare time, he enjoys travelling and sport – rugby, cricket and football to name a few. 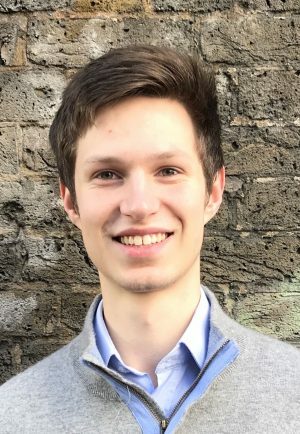 Pierre graduated in 2017 with a BSc (Hons) in Environmental Policy with Economics from the London School of Economics. He joined Powervault in 2017 as Business Development Associate to pursue his interest in renewable energy and the environment. Pierre has previously engaged in diverse work experiences across the sustainability spectrum, including internships in sustainability consultancy and green finance. Before joining Powervault, he worked at Sustainable Workspaces as a community builder, in search of innovative green start-ups. In his spare time, Pierre enjoys attending concerts, cooking delicious food, and hiking across the world. 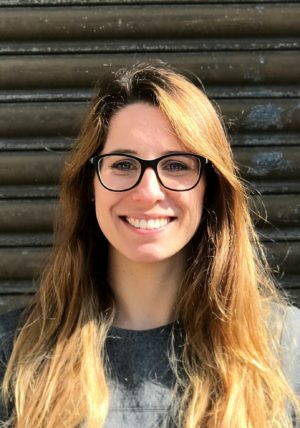 Giulia graduated from Stanford University with a MSc in Environmental Engineering and later completed a MSc in Energy Engineering from Politecnico di Milano with a thesis on wind energy curtailment. She focused her career on sustainability and green energy, working as a Sustainable Transport Analyst at Ricardo Energy & Environment and later as a Building Physics and Sustainability Consultant at BuroHappold, where she carried out modelling and data analysis to inform building design and advise policy-makers. She joined the Powervault team as a Data Modelling Analyst in 2019, focusing on performance analysis and supporting the development of smart grid services. In her spare time, Giulia is a synchronised swimmer and enjoys hiking and reading. Tom graduated in 2013 with a BSc (Hons) in Psychology, from Goldsmiths College, London. He started his career working in Advertising, and progressed to work as a Sales Executive at Sky Media. Working as part of the Independent Agencies team, he managed a portfolio of a wide range of advertising agencies, handling an account with a monthly ad spend of over £3m. He started at Powervault in 2017, joining the Business Development team to follow a passion of sustainability and renewable energy. Tom now leads the Customer Service team. In his spare time, Tom enjoys playing rugby, running, and playing keyboard in a band. Oliver gained his degree, MEng Mechatronics, in South Wales, before starting his first job as an embedded software engineer at The Foreign & Commonwealth Office (FCO). During this time, he renovated a canal boat and installed a custom Combined Heat & Power unit and a 32kWh domestic battery/inverter system to the boat, which enabled him to live on the canal ‘off-grid’. After 4 years with The FCO, Oliver moved back to South Wales to work for Guardian Global Technologies where he was involved in the hardware, firmware and software design and testing of downhole tools and communication equipment for the oil & gas industry. In 2016, Oliver joined Magstim, a medical device company, as a Software Engineer; there he developed firmware for Transcranial Magnetic Stimulation (TMS) equipment, which is used as a treatment for depression and as an alternative to Electroconvulsive Therapy. Following his passion for all things batteries, Oliver joined Powervault in 2017 as Systems Engineer. Oliver is a STEM ambassador and has been judge for the ‘First LEGO League’ in South Wales. In his spare time, after spending time with his daughter & identical twin boys, Oliver turns to model engineering: mainly steam engines, but also aircraft, rockets, boats, and hovercraft. 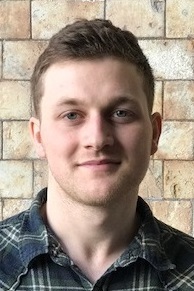 James joined Powervault in February 2019 as part of the back end team. As a full-stack web developer with a passion for rapid prototyping and cloud solutions, his previous entrepreneurial role saw him design, develop and deploy a set of competitive intelligence tools for his clients in the energy and defence sectors. 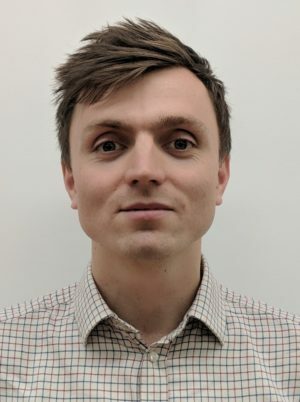 James has also worked in the retail software industry, working closely with technical teams at Vodafone and Tesco developing, deploying and measuring the performance of product selector tools for customers’ use on their retail sites. He also has a background in film and animation production and visual effects and has shot several short films and music videos. In his spare time James enjoys DIY, music and swimming and is passionate about exploring sustainable, off-grid solutions at home. Petras gained his MSc in Electronics at Nottingham University. He originally started his career as a satellite communications engineer, before developing cardiac nuclear medicine scanners. Following this, Petras spent a substantial period developing software in telecommunications, and in the mobile phone industry with Psion. 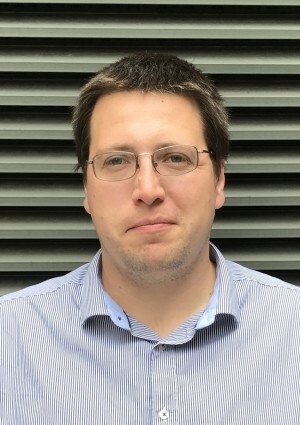 In recent years Petras joined the Imperial College air quality monitoring start-up Duvas Technologies, and was responsible for the embedded processor system, and for the differential ultra-violet absorption spectroscopy chemometric algorithms using MATLAB and C++. He then spent a year involved with a range of start-ups at Imperial College using Python for machine learning and artificial intelligence. 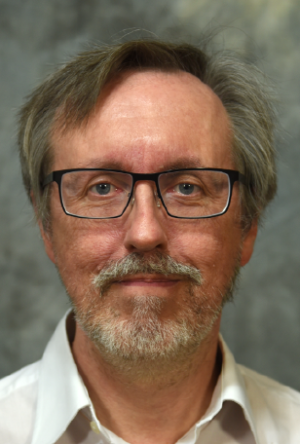 Following a passion for Python and edge IoT, Petras joined Powervault in 2018 as Senior Embedded Software Developer. In his spare time Petras enjoys archery, and recording music in his studio. standardisation. 8 years later, he joined BlackBerry, developing HSPA/HSPA+ protocol stack that was used in BlackBerry mobile phones. In 2014, he joined Ericsson Modem where he worked at LTE physical layer that controls Ericsson GSM/UMTS/TD-SCDMA/LTE multi-mode ASIC chipset. In 2015, he joined EDMI, a smart metering company, to develop firmware for smart gas meter, electricity meter and communication hub that is the coordinator of Zigbee-based Home Energy Network. He then relocated to London and joined Surface Technology International where he developed firmware for a few IoT devices. Following passion in Smart Energy Storage, Weili joined Powervault in 2019 as Firmware Engineer. Nicolas started his career in 2006 working for high-tech electronic consultancy companies which involved his development, system design and verification of new electronic products. After moving to the U.K. in 2008, Nicolas worked for the water industry where he was part of the team that developed an M2M water leak detection system, which became a key enabler for the smart water networks. He then moved to General Electric Oil & Gas where he spent 5 years working on the development of embedded firmware / hardware for a different range of sensors used in oil & gas exploration. He also supported field trials of new products and implemented design enhancements for manufacture procedures. Nicolas’ passion for the ‘Internet of Things’ and renewable energies lead him to join Powervault in 2017. 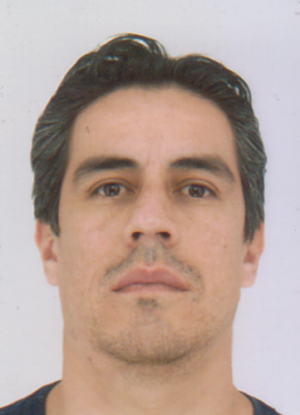 Nicolas gained a BSc in Electronics from the Colombian School of Engineering and an MScs in Embedded and Distributed Systems from London South Bank University. He enjoys spending time with his daughter, strumming his guitar and playing beach volleyball in his spare time. After gaining a Physics masters (MSci) from Imperial College London in 2008, John spent 7 years at Duvas developing an air quality sensor from pre-prototype to market. 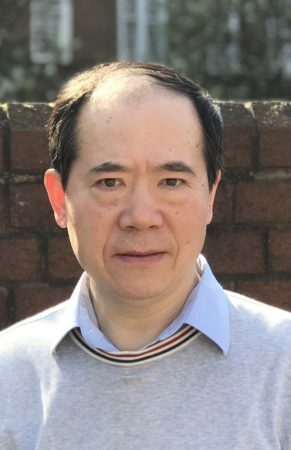 His roles varied between optical-mechanical assembly, testing and validation, preparing technical documents, and liaising with customers/suppliers. He worked closed with early adopters of the Duvas device. For example, integrating an instrument into a field deployable emissions compliance vehicle for the United States Environmental Protection Agency. 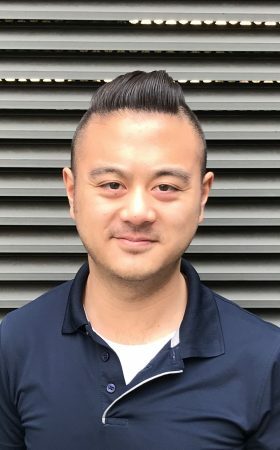 John joined Powervault in 2017, as Test Engineer. Supporting field staff, and overseeing testing for new Powervault designs, and general testing support. In his spare time, he enjoys swing dancing, specifically Lindy Hop. Tarana started her career in 1988 and spent the first 16 years working for an electronics company in Azerbaijan. During her employment, she worked on a variety of electronic systems. Most of her work concentrated on circuit design and circuit theory. After moving to the U.K., Tarana read Electronics Engineering at Middlesex University to develop her skills and passion for technology. 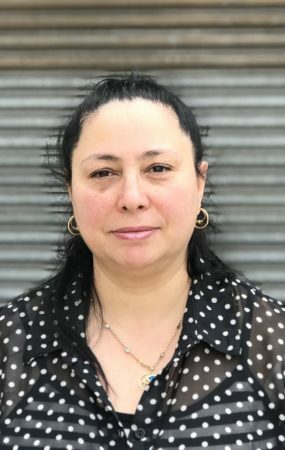 In 2018, she graduated from Middlesex and joined Powervault as Development Engineer. Her work is focused on PCB assembly and electronics testing and validation. She is very enthusiastic about battery technology and the potential it has to help decarbonise the world. Tarana spends her spare time with her children and exploring new places. The board of directors offers a wealth of experience and support to the Powervault team. Mark Ansell is a chartered engineer who has spent over 30 years working in manufacturing industry. After starting his career as a design engineer at JCB, he became Chief Executive of Flow Group Limited, a UK-based manufacturer of valves for the energy industries, which he helped to develop into a profitable £30M+ turnover business with 250 employees and to deliver a successful exit for its investors in 2011. He was a non-executive director of JPMorgan US Smaller Companies Investment Trust plc from 2005 to 2017 and now works as a chairman or non-executive director helping early stage businesses develop and grow. Mark has a degree in Engineering from the University of Cambridge and an MBA from Cranfield University. Simon is an active business angel investor in green technology. He sits on the board of two Triple Point VCTs, which invest primarily in renewable energy, and is a member of the investment committee of the British Business Bank’s Angel CoFund. He is an advisor to the Green Angel Syndicate and is also a Trustee of Plantlife, the UK’s main wild plant conservation charity. Simon has spent 30 years investing in young technology businesses. Much of his venture capital career was spent as Managing Director of Quester, which became one of the UK’s most active early stage technology investors. Seven of the companies that he has backed achieved public listings on the London Stock Exchange, AIM, Nasdaq or Easdaq, including two companies which reached the FTSE 250; many others have been successfully sold. He joined the Powervault board in 2012 when he was the lead angel investor in the first funding round. He was Chairman of Powervault from 2014 to 2018 and currently leads the fundraising activities for the Company. As former Managing Director of Carbon Trust Enterprises, Andrew has previously led the creation and launch of twelve low carbon companies, which have secured over £250m in equity commitments. A former process control engineer with Esso Petroleum, Andrew has strategic consulting experience with Bain and Arthur D Little. Andrew is Co-Founder of Sustainable Ventures Development Partners (SVDP); in 2015 he led the exit of SVDP’s first start-up, E-Car Club, to Europcar in what is now recognised as the UK’s first successful crowdfunding exit. Andrew holds a first-class MEng in Chemical Engineering from the University of Cambridge, where he was awarded the University Fox Prize. He was named ‘Entrepreneur of the Year’ by businessGreen in 2015. After a successful executive career in Asset Finance (Lex Service plc and GE Capital) and Private Equity (TDR Capital), Paul is now building a portfolio of investments in the renewable energy sector. He has an MA in Economics from the University of Cambridge and an MBA from the University of Warwick. Vitaly is the CEO and Managing Partner of Future Matters, a privately-held, London-based investment firm. Future Matters focusses its investments in the UK and Europe in a diversified portfolio of early-stage companies operating in clean tech and digital technology industries with potential for a multiple increase in value and market leadership. Vitaly began his professional career in 1992 as an Audit Assistant at Price Waterhouse (now PricewaterhouseCoopers). He worked as the Financial Controller of the Lower Volga EBRD-sponsored regional venture fund, and then as Investment Associate at The Carlyle Group. Vitaly holds a degree in International Economics Relations from the Moscow State Institute of International Relations (MGIMO). He is a Chartered Certified Accountant. 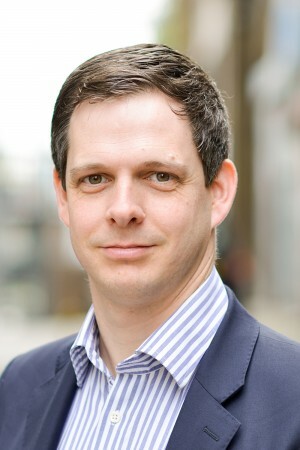 Nick joined the Powervault Board in June 2016. He is co-founder and director of Green Angel Syndicate (GAS), the first business angel syndicate in the UK to specialise in investments in energy and water sectors. Nick is a marketing and sales specialist with over ten years’ experience building up a new applied research institute in the eco and environmental arena: International Resources and Recycling Institute (IRRI). He has been asked to speak at numerous conferences around the UK and Europe on matters concerning sustainable resources, and has been invited to assess innovation competitions in the UK run by the Technology Strategy Board (now Innovate UK) and Scottish Government. Nick founded GAS in order to use the knowledge gained from the research world to help to commercialise resource use innovations effectively and successfully, for the greater benefit of the green economy. Niko Miaoulis is the Founder and Managing Director of Greenman Solar, a large and reputable solar PV installer based in Ashford, Kent. Niko brings significant solar PV expertise to the Powervault board and has 25 years of high-end engineering experience in the semiconductor, electronic and software markets. He has worked with LSI Logic, Marconi, Seagate, Cookson Group, NEC and IBM. He has also held director level sales and marketing posts in a number of these companies. 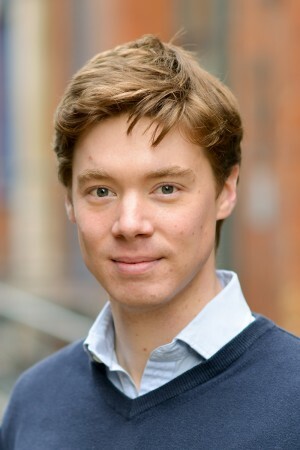 James Byrne is a Venture Director and is responsible for venture development across the Sustainable Ventures group. He co-founded the Green Light Distrikt, an international network for young entrepreneurs and innovators in Cleantech, and has over six years of experience in technology and sustainability start-ups. He currently advises the Mayor of London as a Commissioner on the London Sustainable Development Commission and was named a Future Leader by the UK-Green Building Council. James holds an MSc in International Technology Management from the University of Warwick and a BSc from the University of Leeds.